“Happy New Year” is a song released in 1980 by the renowned Swedish music group ABBA. As the song’s title suggests, “Happy New Year” is an ode to New Year’s Day. In this song, ABBA wishes a Happy New Year to everyone. In the “meat” of the song (the chorus), the narrator ( Agnetha Fältskog ) hopes that in the New Year, the world would be a better place – a beautiful place “where every neighbor is a friend”. 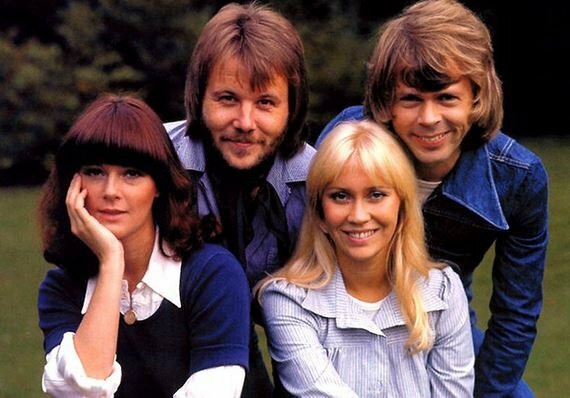 The song was co-written and co-produced by ABBA members Benny Andersson and Björn Ulvaeus. The pair wrote it while holidaying in Barbados. ABBA member Agnetha Fältskog handled all the lead vocals on this track. In addition to that, she sang the background vocals with the rest of ABBA. The original title of this track was “Daddy Don’t Get Drunk on Christmas Day”. However, after changing the plot of the song, the title also changed. And yes the original plot of this track was laden with humor! This classic was recorded at the iconic Polar Music Studios located in Stockholm, Sweden. The recording studio in question gave birth to many an ABBA song. “Happy New Year” appears on ABBA’s 1980 album titled Super Trouper. Super Trouper was the group’s seventh studio album. Owing to the song’s theme, every New Year’s Eve and New Year’s Day, it is one of the most played songs around the globe. “Happy New Year” has a Spanish version titled “Felicidad”. When did “Happy New Year” come out? It was released for the first time in 1980. Almost two decades later (in 1999), the song was released again as a single. This re-released version charted in a few countries, including in ABBA’s own Sweden. In Sweden, it peaked at number 4 in 2008. Is there any cover of this song? Yes. In 2000, the ABBA tribute band A-Teens released a very successful cover version of this song. That version reached number 4 in Sweden.